I am an advocate of quality food. When my grandmother was diagnosed with pancreatic cancer I took the reigns in regard to her diet as much as I could. I stuck with organic foods found at Whole Foods and my local health food store. She had an insatiable craving for sweets, which is quite common for her diagnosis. At times that was all she could get down. I purchased loads of Newman's Own Organics cookies along with their pretzels. She enjoyed these treats immensely as did everyone else in the family. Sadly my grandmother has since passed away. She did, however, really surprise the medical community. No one expected her to live nearly as long as she did after her initial diagnosis. Even her quality of life was relatively decent up until the bitter end. I credit her mostly organic diet as being one factor that enabled her to battle this horrid disease. Newman's Own Organics have maintained their high standards of excellence since their inception many years ago. The Newman-O's are my favorite store bought cookie. I am hard pressed to choose a favorite flavor because I enjoy them all, but my top three are the original, chocolate and mint. My grandmother loved the Vanilla. Organic Unbleached Wheat Flour, Organic Powdered Sugar (Organic Sugar, Organic Corn Starch), Organic Sugar, Organic Palm Fruit Oil, Canola Oil (Expeller Pressed), Cocoa (Processed with Alkali), Unsweetened Chocolate, Salt, Natural Flavor, Sodium Bicarbonate (leavening), Soy Lecithin (an emulsifier). You can really see the dichotomy in the quality of ingredients. I'm personally not a fan of enriched flour found in Oreo-s. Surprisingly this ingredient is omnipresent in supermarket fare. It's basically so processed that synthetic vitamins are added as an attempt to replace what was lost. Another red flag ingredient: high fructose corn syrup. Both these ingredients are said to lead to obesity, That means, they're not diet-friendly. The folks at Newman's Own Organics sent me both the Family Recipe Chocolate Chip and the Double Chocolate Chip cookies. These are a scrumptious little cookie with the most delicious chocolate chips. I enjoyed the Family Recipe cookies almost as much as the Newman-O's. These are definitely a close second. While the Newman-O's and the Family Recipe Chocolate chip cookies are my favorite there are still other items in this line that I really enjoy including the the Fig Newmans, pretzels along with a host of other organic treats that you can feel comfortable feeding your family. Find Newman's Own Organics at Whole Foods, health food stores and the natural/organics section of your local grocery store. So, what's your favorite product from Newman's Own Organics? I would love to try the Newman-Os. They look yummy! My favorite Newman's Own product is the Pop's Corn, it's so good and I eat it all the time. Their Ginger Snaps are my favorite. i love rfig newmns so muchn! Newman's salad dressings are popular in my house. The lite versions taste good enough to keep my picky eaters happy! I love their pasta sauces and salad dressings. I like that I can trust this company and I like their social responsibility. The hermits are my fave and my dog loves their canned food. I like Newman's Own Peppermint Cups. Funny you have the pic of the Newmans "oreo" cookie on the post. Because that was THE first Newman product I ever tried, to get away from the hydrongenated fat in the "real" ones. They are not bad at all. I have tried some of the salad dressings and I see SO many new products they are coming out with now.. I will be trying a few. I love the Newman-os cookies especially when the holiday season comes rolling in! I'd love to try either of the cookie flavors you got. It would be such a treat to have a cookie I didn't feel quite so guilty about eating. I like their dark chocolate peanut butter cups. I love the Newman's Own salad dressings they're so delicious and nutricious. I love these products because they're tasty and healthy. My favorite is the Sweet Enough Vanilla Almond Cereal. The only product that I have tried in this line is the Fig Newtons. I do love them. I would love to try the Ginger Snaps-my second favorite cookie. I love the licorice! Have you tried it??? Yum!!! I would like Newman's Own Organic Ginger Snap Cookies. I have never had any of the products but, would love to try any of them! I don't have a favorite, since I don't remember ever trying their products. But, I'd like to try the dental bones for my dogs. My Rosie has allergies, and its hard to find good treats without the dyes and corn. Family Recipe Chocolate Chip Cookies are my favorite. I like their dried cranberries!! I like the Newman Os! I think the Ginger Snaps would be my new favorite if I could try them. the cookies I have tried were well made. I love the variety, taste and cost! Newmans covers all of my cravings! I like the sour cherry licorice. 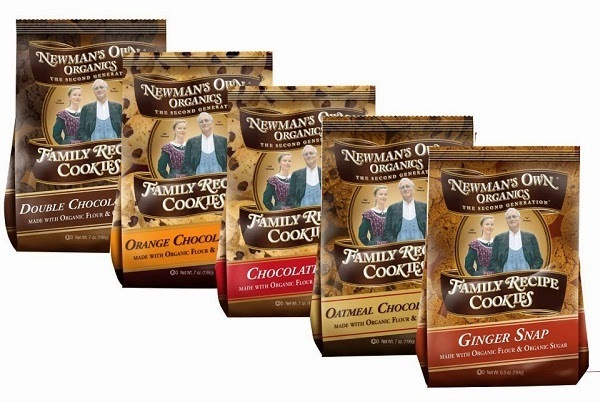 I honestly don't think I have ever tried anything of Newmans own before but the Newman's Own Organic Family Recipe Cookies sound awesome. I love the Newman's Own Peppermint Cups! I have actually never tried them, but would love to. I love the Pasta Sauce and dressings! The salad dressings are my favorite because they don't have high fructose corn syrup. We just finished a jar of their salsa. Yummy! The Newman's own Chocolate Mint cups are the best i've ever tasted! Is it wrong that my favorite thing about the products IS Paul Newman? Such a caring and inspiring man - great that he had daughter so dedicated that she pushed him to explore this product line. I love the salad dressing. I'd love to try their Fig Newmans. Love the name too! I love Newman's salsa and pasta sauce! I like that they have a wide variety of products from cookies to snacks to coffee to even dog food. I have never tried Newman's Own products, but like the fact they have ingredients you can read and understand....quality ingredients! My kids like their Cinnamon Graham Alphabet Cookies. I would love to try their Orange Chocolate Cookies! Boy, do those sound delicious!! Thanks for the giveaway! I like Newman's Own coffee. I like the fact that Newman's Own brand makes organic food more mainstream and easy to find. I would love to try the pasta sauce and dark chocolate peanut butter cups. My favorite is the Dark Chocolate Peppermint Cups. I like their pasta sauces, and what they do with their profits. I really like the Peanut Butter Newman-O's. I love the Newman O's. Yum!! The Newman's Salad Dressings are the usually my first choice. so flavorful. 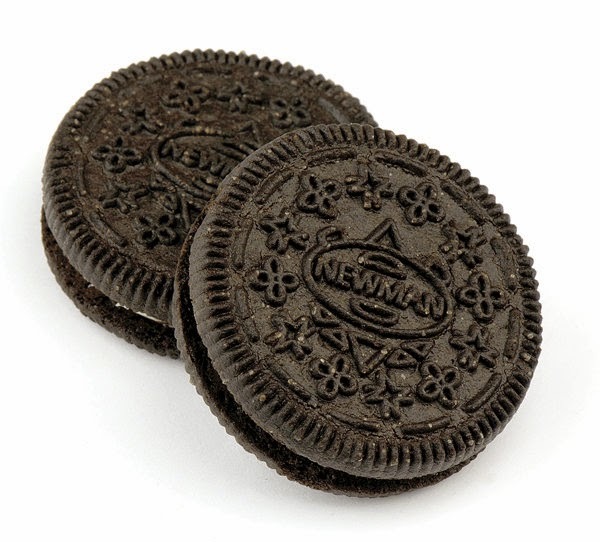 My favorite Newman's Own product is Newman-O's chocolate flavor. My favorite product is Newman-O's chocolate flavor. I love that their lines are not too sweet or salty. They are organic and tasty! Newman O's are delish. 100% better than Oreos! My favorite product is the Newman O's vanilla flavor. I love that I can feel good about feeding this product line to my family. Being Chemically Sensitive, my food groups are getting narrower and narrower. Newman's Own is one of the brands I can tolerate quite well. I'm always looking to try new things in their line of products. Thanks for having this giveaway. I think my favorite is double chocolate or chocolate oatmeal. I would like to try the Salad Dressing. My favorite cookie is their Fig Newmans. My fave Newman product has been the Sockittome Marinara and the Basalmic salad dressing. The military commissary stocked those items world wide and we thorouughly enjoyed them. Many of the newer products like NewmanO's and the licorice I've never seen. We've only tried the Newman's pasta sauce and salsa and both are really good! We've only had their coffee but it is Hubby's favorite! Would love to try more of the Newman's Own products! The sour cherry and apple licorice are delicious. I actually love the Newman-O's and so does my teen son! My favorite Newman's Own Organic - has to be double chocolate cookies. My husband really like the Newman's own candy bars and chocolate cups. I like their berry dried fruit. I have gotten their Newman O's at my local grocery, I'd love to try some of their other products! I love their hearty pasta sauce! I love that it doesn't have any of those icky preservatives. I try to make my own pasta sauce but it is never as good (and I like to think I'm a pretty darn good cook!) My kids love the little snacks like ginger snaps and fig newmans and I don't feel guilty letting them have one or two! The Double Chocolate Chip cookies are my favorite. I love their salad dressings, especially Caesar! the ginger sandwich cookies are my favorite! I like their organic dog food. Newman's Own is such a great company -- great ingredients, and a great ethos. I love supporting them. Newman O's are my favorite. My favorite product that I have tried is their marinara sauce. I love supporting a company that provides great foods with quality ingredients, we need more companies like this! i like that the products aren't "junk" and are good for you. The Newman's frozen pizzas are pretty good! I also like the mint chocolate cookies.